Since 1933, there has been a honour code at KLE U’s Shri. B.M. Kankanwadi Ayurveda Mahavidyalaya, a dynamic aspect of the KLE University, that helps to define its character as an institution of higher education in the field of Ayurveda. Through the years, this code has given rise to an atmosphere of trust and mutual respect on the Institute. 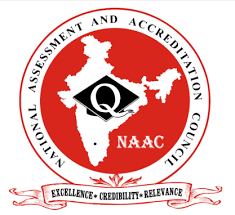 Over the years, the institute saw a marked progress and now stands tall in the entire AYUSH sector, with NABH and NAAC accreditation, recognised centre for Teacher Training Programme by CCIM, Hospital is emplaned under CGHS, Government of Karnataka AYUSH department Aproved ASU Drug Testing Laboratory and heading towards NABL. Institute practises GCP and GLP for excelling in work and this is aided by a team of skilled and dedicated faculty for shaping student’s future. In today’s age of globalization and technological touch, empowering skill is an important tool to increase the efficacy and quality of student for future human resourcing. KLE Ayurworld is now able to provide such a skill based education there by empowering individuals and improve their social acceptance which is complemented by employment opportunities to meet the rising aspirations of the youth in the field of Ayurveda, which saw its inception through a great visionary, Shri Basappanna Mallapanna Kankanwadi, a retired police officer, way back in 1933. SANSKARA, an orientation programme that transforms students of diversified backgrounds to quality learners through structured workshops, personality development, communication skill programmes and elevating their etiquettes. Speciality wise comprehensive training activities on academic materials for excellence and skill enhancement. Designing and development of research protocols, Scientific writing and presentation skills. KLE Ayurveda is the icon for quality panchakarma therapies. The scholars are trained and experienced in all panchakarma procedures. Our strength is classical principles with advance technology. SOPs developed on scientific lines is our uniqueness. The scholars are also trained in management skills, documentation, human resource development and management. Yogya –Clinical skill laboratory is a unique to KLE Ayurworld, As it is only Ayurveda Institute to have simulators for enhancing the scholars surgical and clinical skills. The scholars are well versed with all parasurgical as well as major surgical procedures and management of complications. Hospital is ahead of other ayurveda centres by adopting Pain Management department. Skillful in handling all kinds of advanced life support systems. “UTSAAHA - A Lifestyle modification and Rejuvenation Centre” is unique in its kind where accurate advice is given to prevent and manage lifestyle disorders. The Pathya Unit offers excellent therapeutic diet preparations to the IPD patients and also trains the scholars in preparing instant drug forms. The department hosts general OPD and different speciality OPDs as Respiratory, Psychiatry, Musculoskeletal, and a Deaddiction Centre, where in the PG scholars get exposed to variety of challenging diseases, which aid them to understand the condition and plan the treatment accordingly based on the Standard Treatment Protocols as per GCP. Wide exposure to the scholars as they are posted to different places to learn region based treatment protocols. The scholars are thorough with advance diagnostics and manage the cases on classical lines. They are familiar with Standard operative procedures of kriya kalpa, which is an added knowledge. Also they involve in community health services, by creating awareness about oral hygiene, deafness, cancer of various senses by holding camps in schools and educational institutes etc. The Department provides the scholars an opportunity to prepare various herbo-mineral formulations and to test their own investigational product as per the Analytical standards. Scholars have onus of working at Central Research Facility, which has been approved as a Ayurveda, Siddha and Unani (ASU) Drug Testing Laboratory approved by AYUSH, GoI. They are also posted to GMP certified KLE Ayurveda Pharmacy and various other reputed pharmacies to learn the process of manufacturing and utility of various formulations. 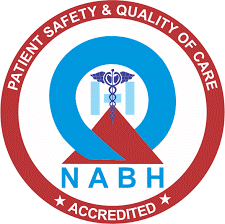 Thorough training in Quality Assurance of drug manufacturing and acts related Pharmacy and drugs. Development of Standard Operating Procedures for drug manufacturing and making abled for handling sophisticated research equipment’s. PG scholars are exposed regularly to renowned Pharmacies to train them in Industrial purpose. The Animal House, established on the guidelines of CPCSEA, in the Campus enable the PG scholars to perform various experimental studies on animals. In the process of learning the scholars also edify themselves with relevant and contemporary medical sciences like toxicology, forensic science etc. The field visits and postings to Visha Chikitsa Kendra, Pappinisiri and Vaidya Brahmadutta Namboothiri Visha Chikitsa Kendra, Kerala expose the scholars to different ways of treatment based on region and availability of medicines. NIRVISHA OPD, tutors the scholars to the treat various cases of poisoning, skin manifestations etc which pose a major challenge to treat to the contemporary medical science. The scholars are proficient in managing all kinds of emergencies concerned to the child health care like resuscitation, vaccinations etc. Postings to peripheral health centres aid the scholars in understanding the paediatric health status at different levels of society. Innovative practices like Samvardhana and Pallava Paediatric panchkarma have defined new horizons for specially challenged childerns. SHRISTI”- Ayurfertility centre is a ray of hope to the childless couples, as it treats infertility based on traditional and contemporary knowledge. The scholars are proficient in all the three aspects of vajikarana i.e management of infertility, treatment of sexual dysfunctions and planning of healthy progeny. Students are thoroughly trained in classical as well as modern diagnostic as well as therapeutic procedures related to vajikarana. Skillful in understanding pharmacognosy, experimental pharmacology, ethno botany by conducting various invitro and invivo experimental trials as per the standards of GCP and GLP. Regular Field visits help to explore the endangered plants and enchance the acumen of identifying plants. Narasingpur herbal garden of 20 acres, owned by the institute has different species of herbal plants. Scholars are exposed to Various analytical and experimental procedures making them as human resource for pharmaceutical arena.